Ho-Oh, the Legendary Gen 2 guardian of the skies, is available for a limited time in Pokémon Go Raids. Here's how to beat 'em and catch 'em! Pokémon Go has made Ho-Oh, the leader of the Legendary Beasts, available in Raids from November 27 to December 14, 2017. All you have to do is beat the fire birds, catch 'em, and bring 'em home! How to beat all the Legendary Raid Bosses in Pokémon Go. What is Ho-Oh in Pokémon Go? Ho-Oh is a Legendary Pokémon. As guardian of the skies, it's the opposite of Lugia, guardian of the seas, and the leader of the Legendary Beasts — Pokémon Go calls them "Legendary Dogs" — of Generation 2. A combination Fire- and Flying-type Pokémon Lugia is similar to Moltres but has a mythos and import all its own. How do you beat the Legendary Ho-Oh Raid Boss in Pokémon Go? Since Ho-Oh is a Flying- and Fire-type Pokémon, it's weaknesses will be familiar to anyone who has battled Charizard or Moltres in Legendary Raids, but it's strengths are all new — thanks to its different movesets, including Solar Beam. How do you catch the Legendary Ho-Oh Raid Boss in Pokémon Go? Max out your medals. If you have both the Flying and Fire medals, it's an automatic 1.1x to 1.3x bonus to your catch. Play patient. Raid bosses defend better than normal Pokémon, so wait until 3/4 of the way through their attack animation and then make your catch. You should hit just as the ring appears. Nanab over nothing. If you have a hard time even hitting the Ho-Oh, use a Nanab. Some chance is better than no chance. Go Golden: If you have Golden Razz Berries, and the Raid Boss you're trying to catch is either your first or the higher stats (IV) you've encountered, lay them on. Their 2.5x modifiers are the best in the game. What's the catch rate for Ho-Oh? Excellent throw: 1.7 to 2x. What if you really want to catch Ho-Oh? To maximize your chances to catch Ho-Oh, get as many Premiere Balls as you can (Team Bonus, Damage Bonus, Gym Control), and use Golden Razz Berry every time you throw. If you can hit Great/Excellent throws, can get the Curve Ball bonus every time, you'll have the best chance possible to catch Ho-Oh. 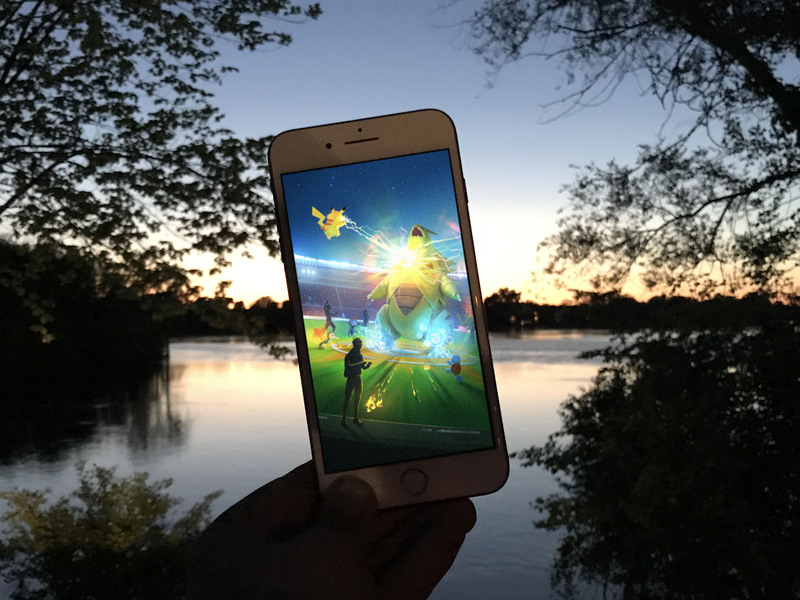 If you're running low on Golden Razz, try using regular Razz for the first half of your throws, then switch to Golden Razz for the second half. It'll still hurt your chances but not by as much. What if you really want Ho-Oh candy? If you've already got your ideal Ho-Oh and all you want now is candy, use Pinap Berry. Your chance to catch will be much lower but if you do catch, you'll get double the candy. If you have some Rare Candy or you also want to catch some more Ho-Oh, you can try the first half of your throws with Pinap and then switch to Golden Razz for the last half. What's the Combat Power (CP) for a perfect (IV) Ho-Oh? 2222 is the magic number. Catch those. What are the best movesets for Ho-Oh? Um... yeah. Ho-Oh's movesets in Pokémon Go are a hot mess. Pokémon Go will only make moves available that the Pokémon had in the original games, but didn't (yet?) port over all the moves, so there's no same-type-attack-bonus (STAB) Quick Move for Ho-Oh. There's also no Overheat, which is the best Fire-type Charge Move (and the one Flareon, Charizard, and Moltres get.) So, you're left with a hodge-podge of Steel and Psychic-type Quick Moves and Fire, Grass, and Flying-type Charge Moves. Personally, I like Solar Beam because it shreds. Your tips on catching Ho-Oh? There are a bunch of other tips floating out there, including setting your target size before throwing, alternating Nanab Berry, waiting to press "OK", and more. It all comes down to math, though. You have a 2% base chance of catching Ho-Oh and every bonus and ball increases that chance. You throw, Pokémon Go generates a random number, and if that number is less than your modified catch rate, you get Ho-Oh. If you've found anything else that works better for you, though, let me know!